And the countdown is on, isn’t it? Time to get those last few gifts purchased and wrapped. We were one of those crazies at the mall this weekend, trolling around for a parking spot, fighting the crowds, waiting in long lines to pay. Were you there too? I did manage to get some baking done, and put the final touches for Chloe’s daycare teachers’ gifts together. 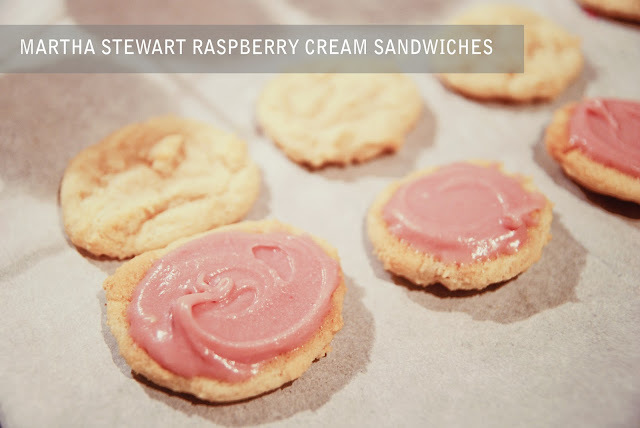 I decided on these sweet looking Raspberry Cream sandwiches from Martha Stewart. It was my first time making them and I liked how they tasted, a little bit sugary and a little bit salty. The cream turned out a bit runny but adding more chocolate helped it stiffen up. 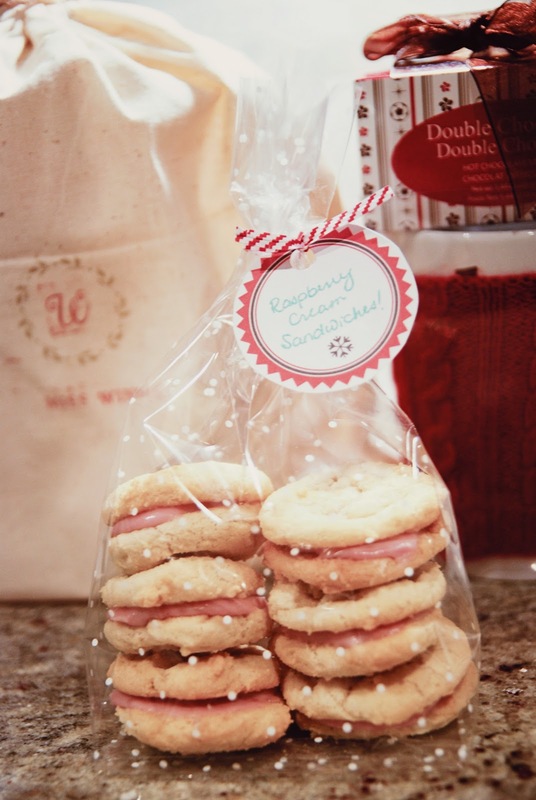 ...put the cookies in white dot bags from Creative Bag and closed them with stripey twist ties from Fort & Field. They'll go in the stamped bags I made for each teacher along with a mug and hot chocolate mix. Now that that's done, I can move on to finishing the few sewing gifts I planned on. So many projects, so little time! How about you... are you done all your shopping? 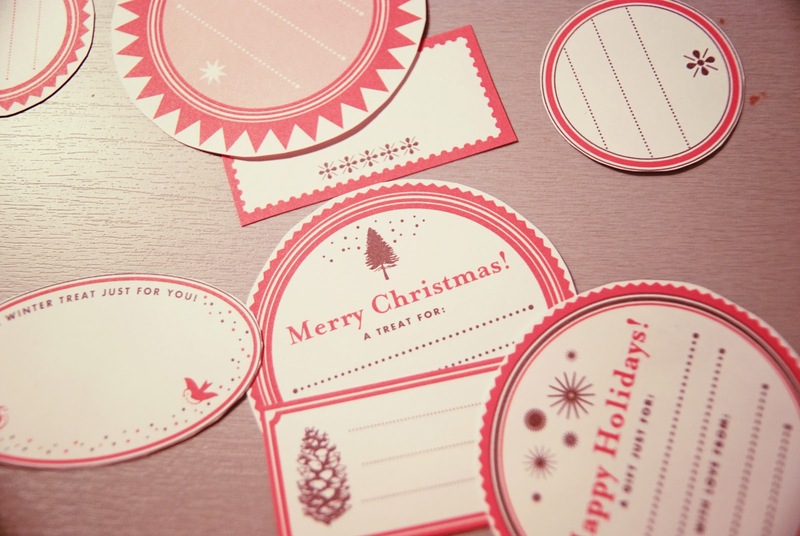 Are your gifts wrapped neatly and sitting under the tree?